Giorgetti Bigwig Table - Please be aware that colours and textures may vary from your screen to the product. If in doubt, please contact us. Designed by Roberto Lazzeroni 2017. 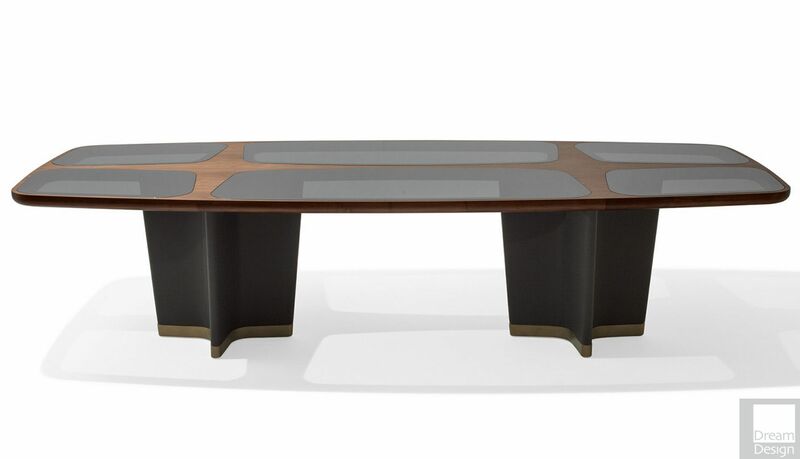 Bigwig, a rectangular table in walnut canaletto wood and leather, with the top available all in walnut canaletto or with inserts in leather, crystal glass or marble in different versions. The Bigwig table has a very strong style with sculptural features. Bigwig takes inspiration from the organic forms and recalls the interior design projects of the ’30s and’ 40s, when, thanks to the study of ethology and the great geographical explorations, the animal world with its charm and its legends enters the domestic dimension through the decorative details and the lines of the furnishing elements. The legs are covered with leather and the foot-caps are painted in a bronze colour with natural effect. Roberto Lazzeroni, born in Pisa, began his professional life with the study of art and architecture in Florence and the interests he developed during his training, in particular in the conceptual art and radical design movements. In the early 1980s, Lazzeroni made his professional debut with a series of important works in the field of “interior architecture” that immediately attracted attention and were published in Italian and foreign periodicals. Lazzeroni considers “interior architecture” to be a necessary discipline, a sort of “training field” in which to glean varied experience in materials, techniques, and problems inherent to design in the home. A fundamental step for anyone approaching the world of product design. Receptive to the history of design and its “signs,” with a personal stylistic flair that Lazzeroni spontaneously defines as “sentimental design.” It is in fact easy even for the non-expert eye to sense the link between past and future in Roberto Lazzeroni’s projects: his is design that does not parade industrial geometries, but neither does it embody frivolous affectations of aestheticism; it gives objects their correct places in history, in tradition, in an individual and collective autobiography. 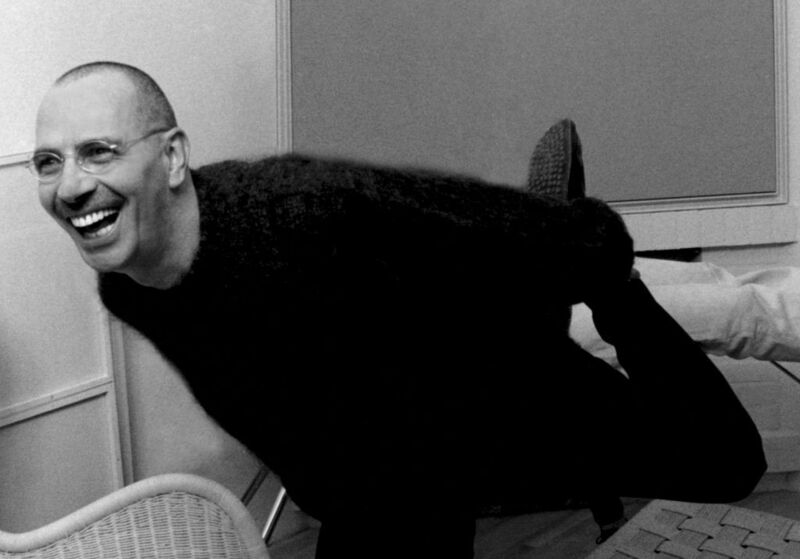 Lazzeroni’s peculiar understanding of design led him to specialize in concept development: the ideas underlying the creation of new trademarks.